Lawyers and litigation support professionals expect discovery technology to make their lives easier. But many have been disappointed with the reality of slow, complex systems that are expensive to manage and maintain. 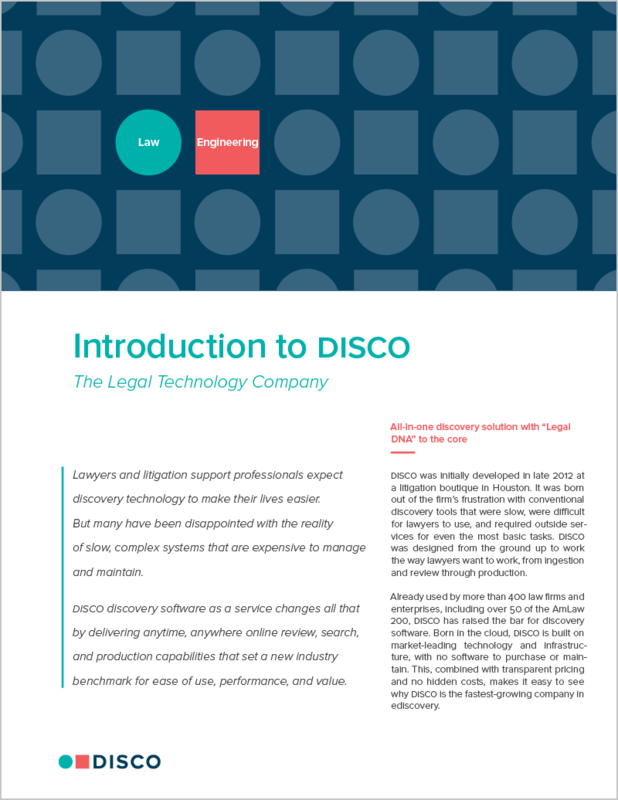 DISCO discovery software as a service changes all that by delivering anytime, anywhere cloud collection, transfer, processing, review, search, and production capabilities that set a new industry benchmark for performance, ease of use, and value.